Norcross Therapist: Bridgette Morris - Therapist 30092. Are you recovering from a breakup? Are you tired of having the same fights over and over again? Do you desire passion and purpose in your life? There is a simpler way. I can HELP! I provide a variety of counseling services so you can experience HEALing and change. 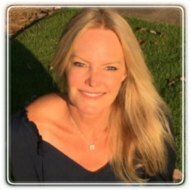 Founder & Director of HEALing Life Counseling, Bridgette has developed a reputation as a trusted & caring therapist in the Peachtree Corners, Johns Creek, Dunwoody, Norcross & surrounding areas. Integrating sound counseling theory & faith based principles she help's people understand their past so they can move forward and live the life they want to live. Sometimes you need a FAST START. I offer 2 sessions back to back, 90 minutes. This is like getting 2 weeks of counseling at one sitting. This unique approach is custom designed for you and does work! This is a great opportunity to get that troubled situation really moving in a positive direction. ** Bridgette is also a member of the American Association of Christian Counselors and the Georgia Christian Counselors Association. She is also the creator of the "LUVHEALS" system. HEALing relationships one person at a time! Seminars and workbook will be available Spring 2017. When not practicing counseling, Bridgette loves giving back to her community. She and her son created a photo sharing app, LUV4wrd, to help charities. She believes one action of kindness and love can change our world. Her philanthropic heart has helped many in need including those living in homelessness in Atlanta, victims of human trafficking and children lost in the court system. Bridgette was selected as Best Self Magazine "Best of 40 over 40; making a difference in their community" and nominated as "Leukemia's Woman of the Year." "Bridgette's caring approach allowed me to recover from my divorce, let go of past hurts and start to see hope in my future"
"Bridgette has an ability to simplify things and allowed me to regain my focus and joy in my life." "Bridgette was very easy to talk with. She provided me a safe place and tangible tools to help HEAL my life and stop drinking. She also helped me rediscover a personal relationship with God."